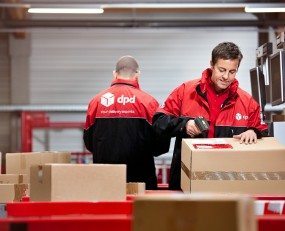 Due to the growing demand for a larger distribution space, which is a consequence of the fast-growing export and e-commerce segment, DPD Croatia will move its business from the far west to the far east of Zagreb city, to area named Sesvete. This location is primarily chosen due to the good traffic connections, proximity to the industrial zone to the east of Zagreb, as well as the proximity to public transport (bus and train station), which is important for employees and clients. The hub and the depot will be opened towards the end of this month. DPD’s new headquarters is the result of the growth of the business in the last 15 years of the company’s existence in Croatia. The new hub, depot and the accompanying offices together extend over a parcel of almost 14,000 sq m. Additionally, warehouse-manipulative space has over 3,000 sq m and offices of 800 sq m with the possibility of further expansion. Subsequently, the final phase of the project will include a total of 84 loading and unloading doors, which is expected to improve the efficiency of operational processes. This will also contribute to a conveyor that will be nearly 200 meters long. It is expected that over 25,000 parcels will be sorted in the new distribution centre on a daily basis.